Mainly clear skies. Low 43F. Winds S at 10 to 15 mph.. Mainly clear skies. Low 43F. Winds S at 10 to 15 mph. 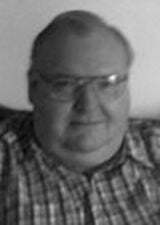 RACINE—Thomas L. Kuree, 69, passed away at home on Sunday, February 3, 2019. Tom was born on July 2, 1949 to Leonard and Grace (nee, Hueffner) Kuree. Tom is survived by cousin Wanda Pye of Mt. Pleasant WI. Tom was preceded in death by his parents. Mr. Kuree held a Bachelor of Business degree from the University of Wi- Whitewater. Throughout the years Tom supplanted his degree and education with many courses at The University of Wisconsin -Parkside as well as Gateway community college in Racine and Kenosha WI. There are plaques that adorn the walls of all three institutions with his academic accomplishments. Tom was also a licensed amateur radio operator with the call sign KA9OGT with past memberships in the Lakeshore Repeater Association as well as The Milwaukee Radio Club. Tom enjoyed engaging persons in conversation at various stores and restaurants and as a result enriched the lives of many over the years. A Memorial Visitation for Tom will be held at the funeral home on Friday, February 15, 2019, between 3:00 p.m. and 7:00 p.m.